Lowest Plant Prices. 32 Varieties. All Sizes. Fast Shipping. 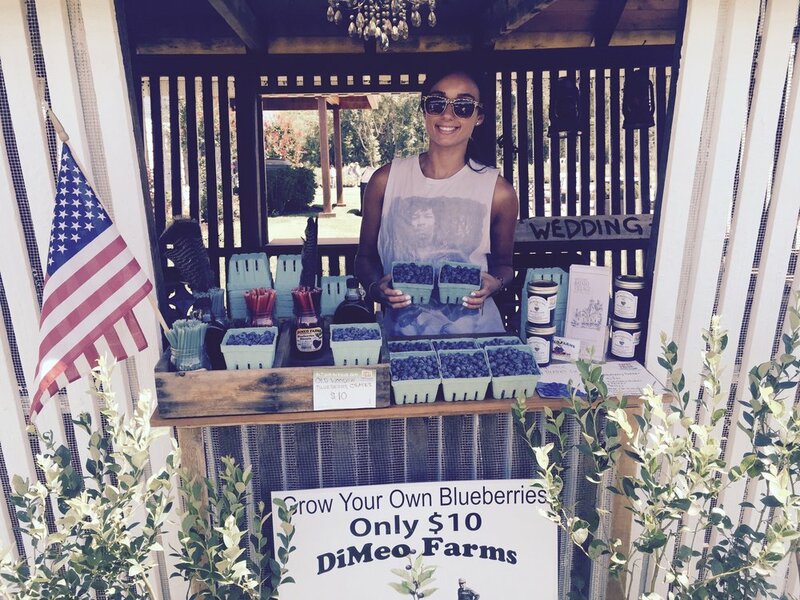 Our 103 year-old family blueberry farm and organic blueberry plants nursery grows the best certified blueberry plants the old-fashioned way. DiMeo’s ultra-premium blueberry plants grow larger, way better tasting blueberries. We can ship large ORGANIC, Non-GMO, Heirloom blueberry plants direct to your door for less. Ready to Fruit this Summer 2019. Stop overpaying for expensive tiny half-pints of blueberries. Grow your own organic blueberries and save money. We have over 88,000 likes with happy customers on our Facebook page. 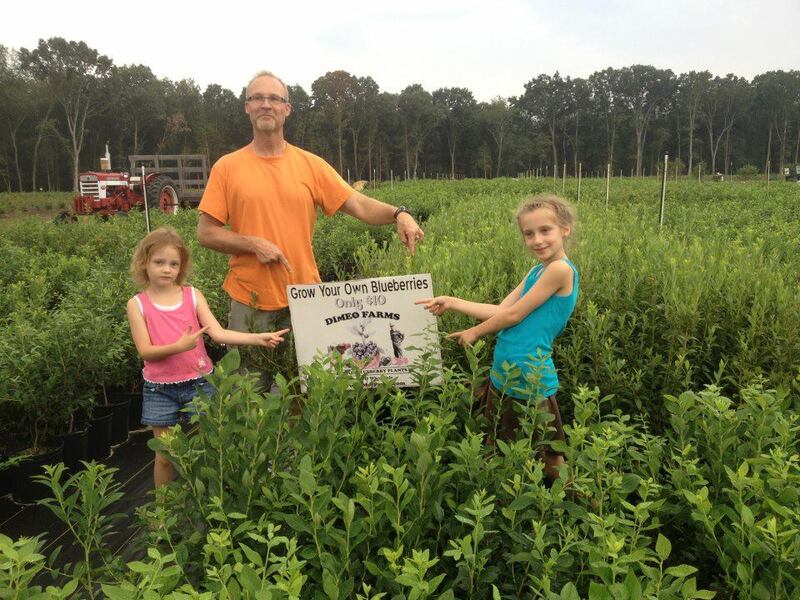 If you pick-up, we can sell you up to 4' ft. tall, BIG 3 year-old organic blueberry bushes for only $10. ORDER NOW in Late-April to guarantee low sale pricing and inventory availability. We ship when you are ready to plant in Late-April or May. There is still plenty of time left to plant due to cold winter we had this year. 1.5 Year-Old Blueberry Plants (only $1.95 each) (minimum 50 per order) these are multi-branched, established beautiful plants. You can plant them directly out in your field, patch, or easily pot them up to get them more established into large bushes first before you ground plant them. Shipped farmer-direct to your door when you are ready to plant this Late-April or May 2019. You can start off with 600 plants (1/2 acre) to 1,200 plants (1 acre) or whatever amount you are comfortable starting out with. It’s up to you. 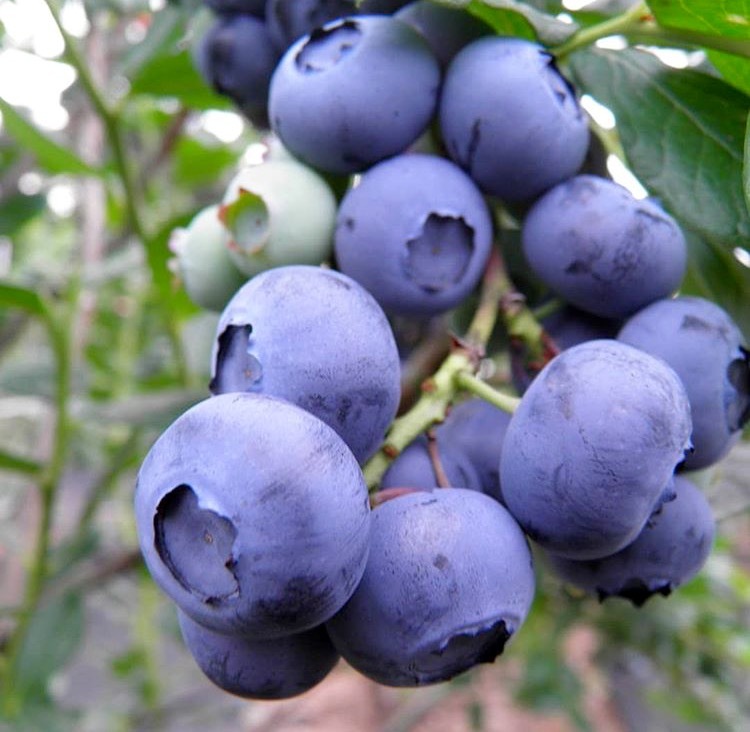 2 Year-Old Blueberry Plants (only $4.95 each) (minimum 25 per order) perfect for replanting, starting a blueberry patch, u-pick blueberry farm or roadside fruit stand which will be profitable in this high demand “locally grown” organic blueberries market. Ready to Fruit this Summer 2019. We can ship you a nice mix of blueberry plant varieties for an extended blueberry season, good cross-pollination, large tasty, better flavor farmer-recommended blueberries. Shipped farmer-direct to your door when you are ready to plant this Late-April or May 2019, or schedule an appointment to pick-up your order at our family farm. 3 Year-Old BIG Bearing Blueberry Bushes (only $10 each) (minimum 5 per order) these are the blueberry bushes that homeowners and home gardeners buy. Perfect for growing your own organic blueberries at home in your own little blueberry garden, patch, edible landscaping, hedgerow or in pots. We recommend ten (10) blueberry bushes per household so that you have enough blueberries for fresh eating and freezing throughout the year. Ready to Fruit this Summer 2019. We can ship you an "all-season variety pack" for a nice extended blueberry season all Summer long. Shipped direct to your door when you are all ready to plant this Late-April or May 2019 or pick-up giant bushes like these happy customers.